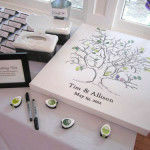 Guests arrived and were asked to make their mark on her tree canvas “guest book” which is now hung in their home. 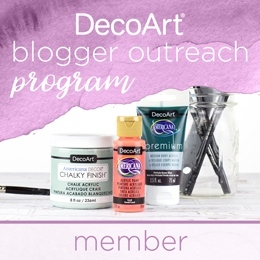 She hand sketched the design based on examples seen online, then decoupaged baby wipe containers to dress up that convenience for her guests. 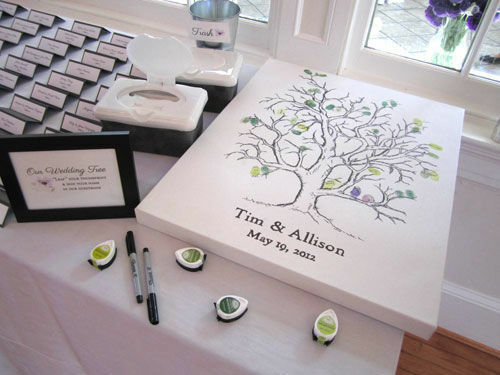 Guests used ink to create a leaf design and used the markers to accent the leaf with their name and/or character design. Loved her ruffled ombre cake! While she herself didn’t make the cake topper, this accent was a handmade element! 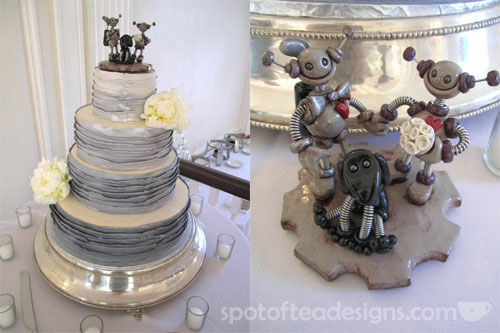 The robot design that includes a bride, groom and their dog Misty, which is now displayed in their home was made by the Robots Are Awesome Etsy shop. 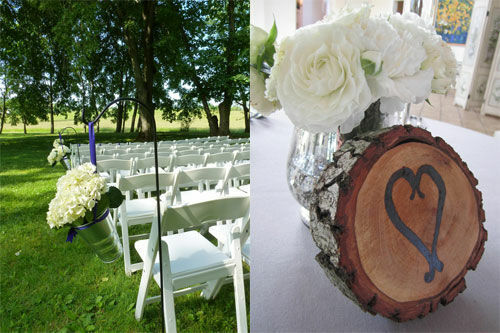 Allie, a lover of all things nature and the outdoors, wanted to make sure this concept was included in her big day. 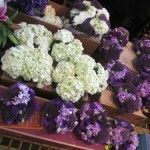 She ordered, transported and with the help of the bridesmaids, created all the bouquets, centerpieces and flower accents seen on her big day. 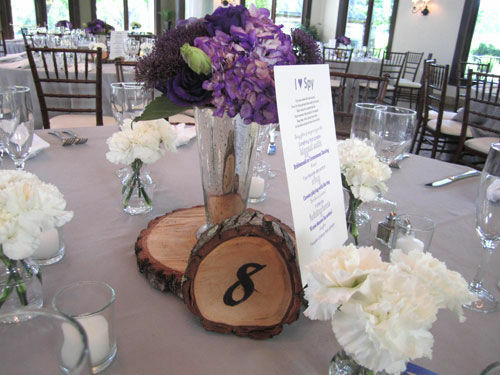 Above, you can see an example of our flower arrangement skills, along with the rustic table numbers, created by her hubby, and an “I Spy” game to encourage and entertain guests to take more unique photos. 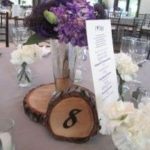 See how Tim created the table numbers here and look for future posts on how we DIY’ed her wedding flowers. 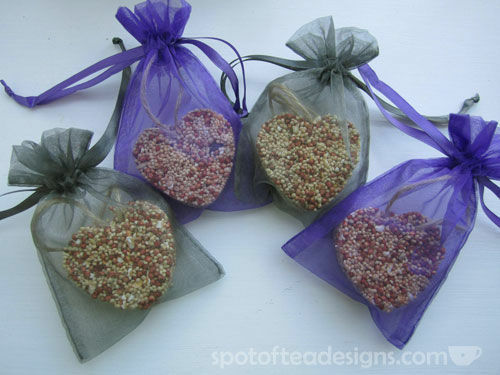 Lastly, as you’ve already seen on a previous post, guests left the venue with a handmade token, these birdseed ornaments, to hang at their home. 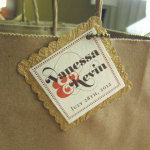 I love a personalized wedding! 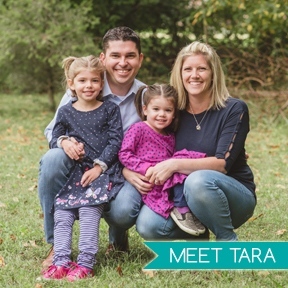 Allie and Tim definitely had this going on at their beautiful May celebration!